Keeping data safe, accessible and reliable in today’s world has become increasingly challenging. As we become more reliant on technology, the threat to these technologies also increases. This has created the need for a fast-paced environment, where it is essential for technologies to advance, while protecting themselves from vulnerabilities. For those not familiar with cloud solutions (not to be confused with cloud computing), it is important to understand how data is stored online. 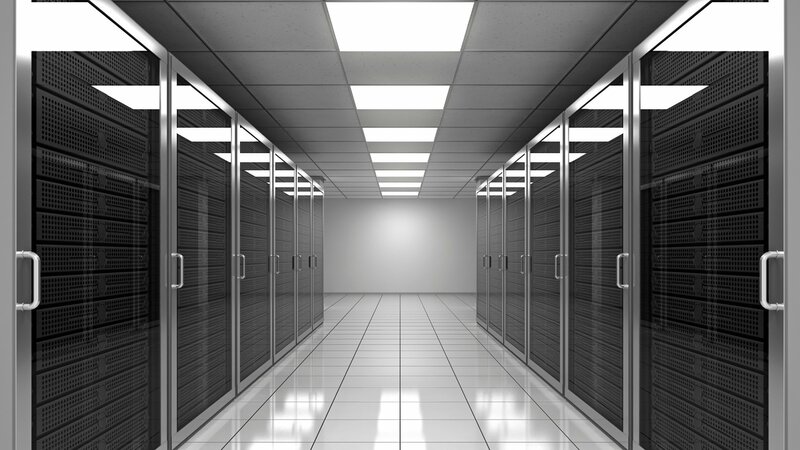 You begin by finding a cloud storage service provider that will allow you to send copies of your files from a client (computer programmes such as a browser) over the internet via a web-based interface, which are then stored on their servers. Users are then able to access this information on the server, make changes to them directly, retrieve the files and share securely with other users. Cloud solutions allows these files to be stored across a network of servers, meaning that if a server were to fail, that data would still be accessible for recovery. To understand fully how cloud solutions help with BC/DR, it is important to first understand the differences between cloud storage and online backups. Knowing these differences will help you to choose the best cloud solutions to invest in, and also show you why it may be best to adopt a hybrid strategy depending on your needs. Cloud storage providers, often referred to as online storage (such as dropbox, Google drive and iCloud) is essentially a product. Think of it as an online safe. It’s great for storing valuable files such as images, photos, documents and songs, easily sharing these with other people and accessing them on different devices without the need for the files themselves to be saved to your computer with wires & hardware. The problem with using cloud storage for long term backups, is that if the cloud service were to go down for any reason (unlikely, but possible!) all that data would be lost forever. Cloud backup providers or online backup (such as rubrik, carbonite and various website hosting providers) are to be considered more of a service which incorporates cloud storage. What cloud backup providers do that storage providers don’t do is provide backup software, that automatically and periodically monitors files and folders for changes, and then updates those changes to the cloud incrementally. These are then stored in an off site facility with far greater protection due to high security & constant surveillance. One of the key differences to cloud storage, is that the software requires all files and folders to be stored on your device. If a file is deleted from your computer, then the back up of this folder will only be kept for a limited period of time. While this may seem to be highly inconvenient, it is an essential process to prevent users from treating cloud backup as cloud storage, especially if the company is offering unlimited storage. If these files were not deleted, vast amounts of resources and storage space would be wasted on monitoring and storing data that has little to no value, which is not only costly to the business, but is also an unsustainable business model. Another minor disadvantage is that you are not able to share and edit your backup files. These solutions are ideal for companies that are looking to create and store multiple, long term backups of their files, folders and data, or for businesses that have many files that are too large to be stored on a single server. 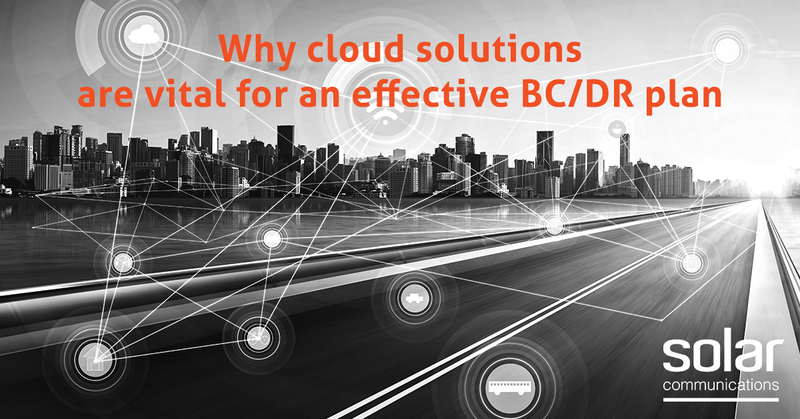 Now that we have that cleared up, let us take a look at how cloud solutions help to deliver an effective BC/DR plan. The primary function of a successful BC/DR plan is to see operations continue as usual with minimal disruption. This applies not only to the website, systems and data, but also ensuring that communication is restored, both internally and externally. In scenarios where working environments are protected with cloud backups, all of your data becomes accessible from any location and on any device. This means that as long as there is a suitable internet connection, no matter what the disaster, you can restore data in the exact file structure it was saved, onto a new device. This enables remote working for employees. 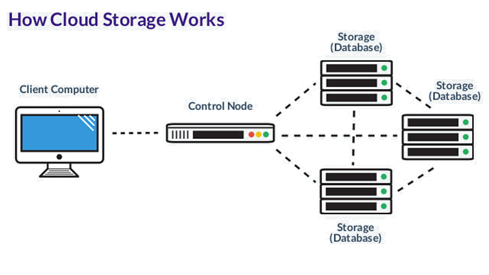 Another key benefit to cloud backups which we touched upon earlier, is that data is backed up and stored incrementally. This means that in scenarios where the data has been compromised, for example incompatible website plugins that redendered your website unusable, it is possible to simply roll back to the most recent back up of the website and restore this. Here at Solar communications, we use Rubrik. Rubrik is a software-defined platform that unifies backup, instant recovery, replication, search, analytics, archival, compliance, ransomware protection and copy data management in one secure fabric across the data center and cloud. Rubrik powers on your data instantly (for recovery, testing and development) and unleashes hard savings from a converged architecture. Solar has developed a Rubrik-as-a-Service offering, that delivers ALL the benefits of the Rubrik solution without the significant CapEx investment. More control with user friendly web based portals. We provide unified cloud communication solutions that are ideal for efficient recovery in the event of a disaster. Contact us to find out more about what we do and how cloud communication solutions can help your business. Or, read our ultimate guide to BC/DR planning for more information about how each of our solutions help you to create a full BC/DR plan . Cloud storage involves stashing data on hardware in a remote physical location, which can be accessed from any device via the internet. Contact us to find out more about what unified cloud communications and Rubrik can do for your business.